Today we write this guide especially for the latest codec H.265/HEVC codec. There several parts about the H.265 we should learn one by one in details. Additionally, we also provide the best ways to play or convert H.265 videos for further enjoyment (like VLC and DivX player). Are you interested in this H.265 workflow? Part 1. What does this new H.265/HEVC exactly mean? H.265, High Efficiency Video Coding (HEVC) is the latest generation video compression standard. This standard was developed by the ISO/IEC Moving Picture Experts Group (MPEG) and ITU-T Video Coding Experts Group (VCEG), through their Joint Collaborative Team on Video Coding (JCT-VC). HEVC is also known as ISO/IEC 23008-2 MPEG-H Part 2 and ITU-T H.265. It provides superior video quality and up to twice the data compression as the previous standard (H.264/MPEG-4 AVC). HEVC can support 8K Ultra High Definition video, with a picture size up to 8192×4320 pixels. In a word, higher quality smaller size, that’s the advantage H.265 brings to us! Part 2.How does this H.265 codec walk into our eyesight? In 2004, ITU-T Video Coding Expert Group (VCEG) started the development of the successor to the codec H.264 and in 2007 ISO/IEC Moving Picture Expert Group (MPEG) started their journey to the same direction. In 2010, the MPEG and VCEG teams collaborated on a joint Call for Proposals and established the Joint Collaborative Team on Video Coding (JCT-VC) to develop the HEVC standard. On January 25, 2013 the technical content of HEVC was finalized and on April 13, 2013 it was formally declared as a standard. Part 3.Which containers at present can support the H.265 well? 1.MPEG transport stream – used by ATSC, DVB and Blu-ray Disc. File name extension of this container is .ts, .tsv, .tsa. 2.MPEG media transport – an under development digital container standard. Part 4. How to play H.265 videos smoothly? 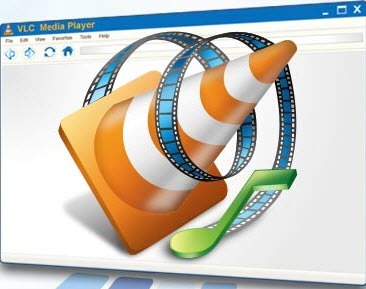 Another player that can play HEVC file is the VLC Media Player, which is a free and open source player and framework. It supports a wide range of multimedia files. It can also play DVDs and various streaming protocols. This player is absolutely free with no spyware, no ads and no user tracking. Cause we all know that H.265 is not yet accepted by most video programs so it is necessary for us to convert H.264 to other common ones. Fortunately, after this upgraded version to 4.8.2.0, Pavtube Studio has three main videos converters that can all handle the H.265 videos well (Learn more)! Step1. Load your H.265/HEVC videos firstly. Download and launch the Pavtube H.265 HD Video Converter and the main interface will pop up there in front of us. With the ‘Add video’ button on the left corner, we can easily load videos in individual clips. Or with the ‘Add from folder’ to let your H.265 source files in as complete folder. Directly drag your files is also available. The output selection in this program is the outstanding highlight. There are so many output choices for converting your H.265 footage. No matter for editing tools, FCP, iMovie, Avid, Adobe, etc or media devices like QuickTime, Tablet,etc. Here we make the H.264 MP4 as the common example. In the ‘Common Video’ ->’H.264 Baseline/Main/High Profile Video(*.mp4) could be the best. For some advanced users, except for converting the original videos, they also have the requirements of adjusting output videos. Tap the ‘Edit’ on the top of the main interface, we can choose the ‘Trim’ to decide the video length, ‘Crop’ to remove the extra edges, or something else there. You are deserved to have a try. Finally, complete your conversion of H.265/HEVC videos? Just go back to the main interface, click the big red button ‘Convert’, with a faster speed, it won’t take us so much time to wait for the result. Just enjoy your new H.265 videos!